Since the 7.4 version of the Newspaper theme, we have added retina images support. This functionality is available for all the themes’ thumbs including smart lists, modules and blocks post featured images and galleries. This was developed based on the recent WordPress 4.4 native responsive image support addition. 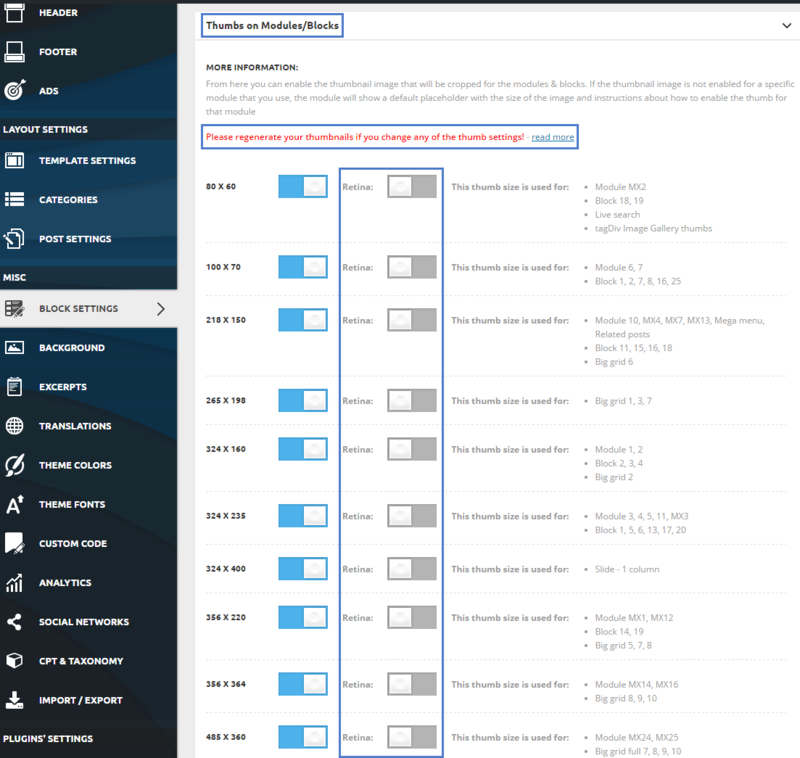 To enable the retina support go to Theme’s Panel > Block Settings, and expand the Thumbs on Modules/Blocks section. You’ll find a retina switch for each image thumb size. Retina thumb sizes are disabled by default, so you will have to enable the retina support for the image thumbs you use. Afterwards, make sure that you regenerate thumbnails.